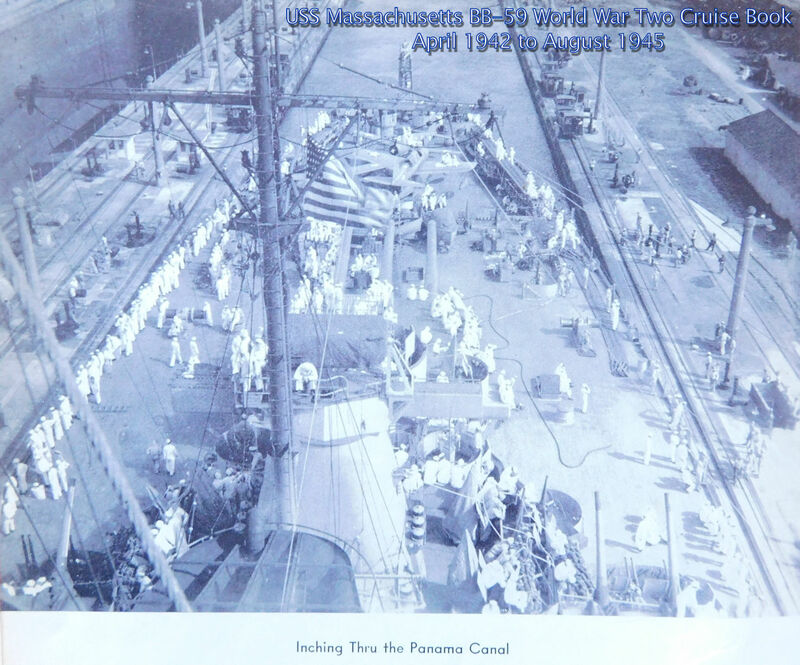 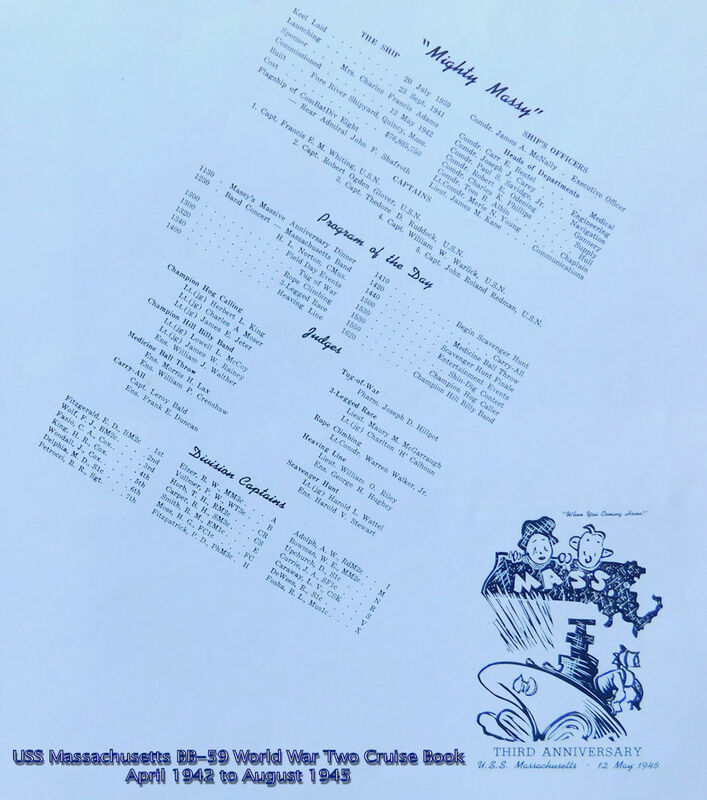 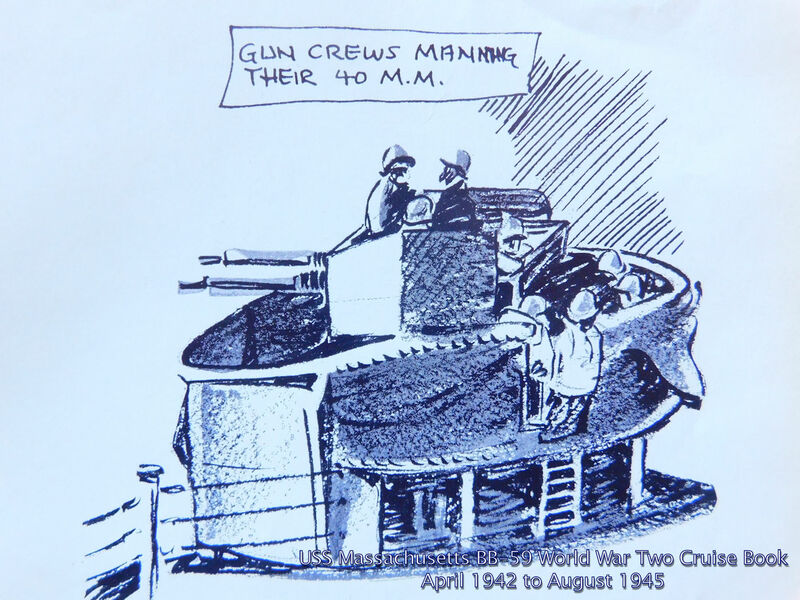 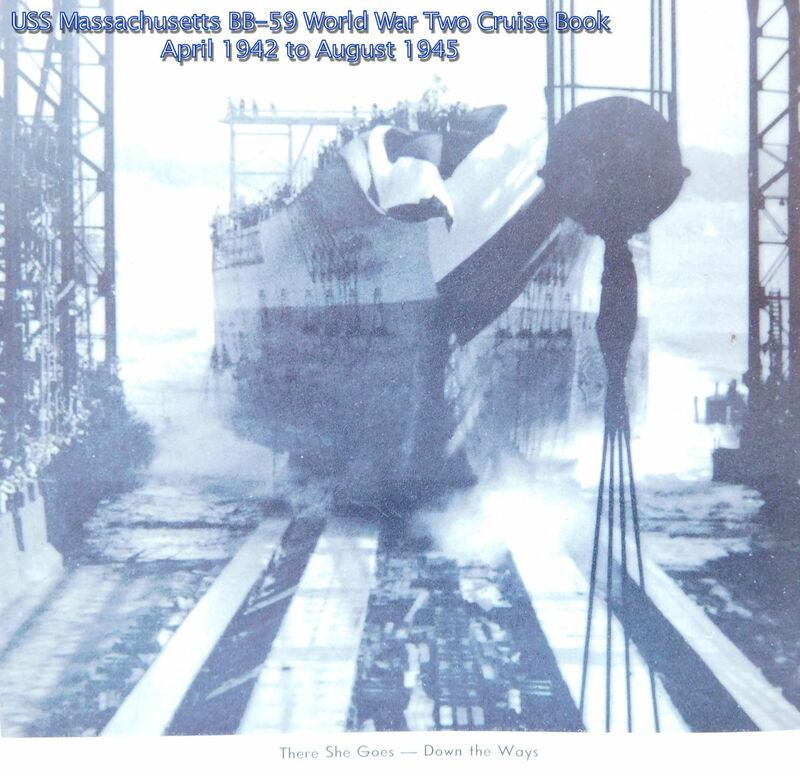 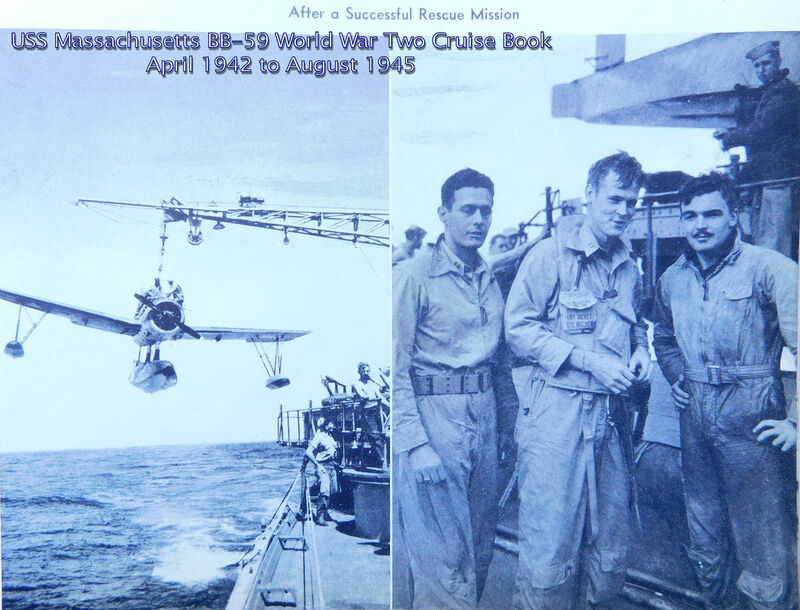 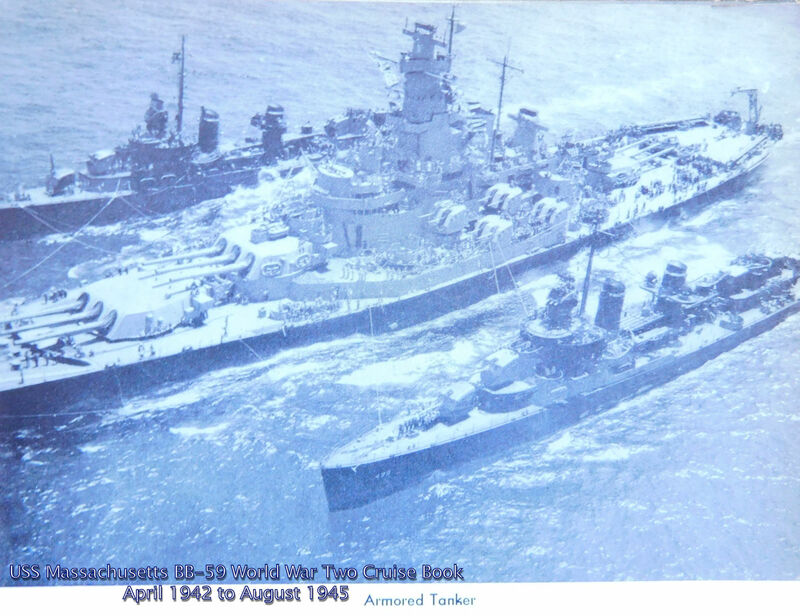 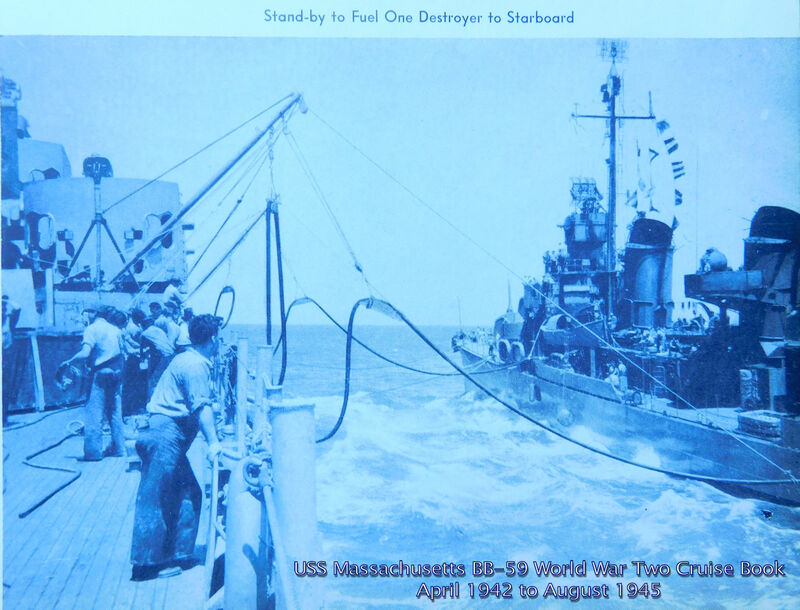 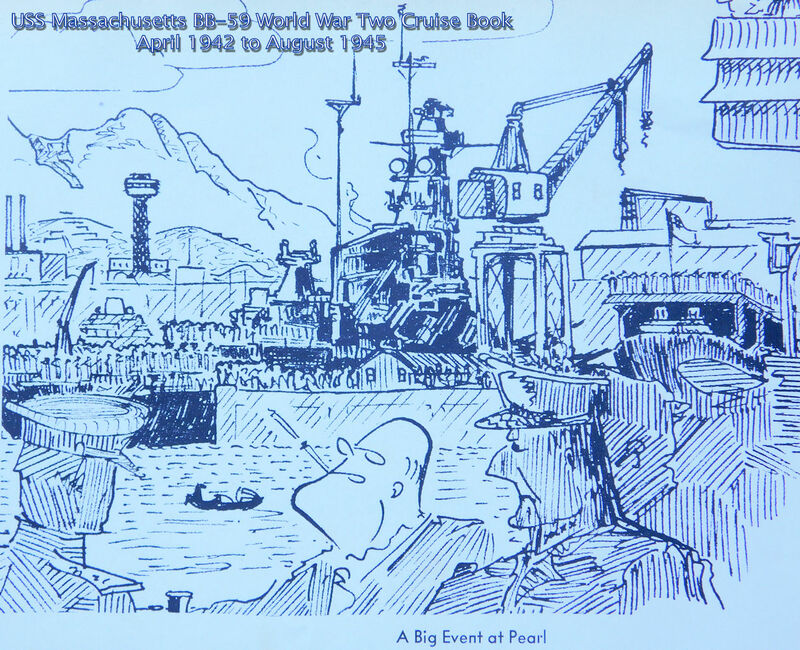 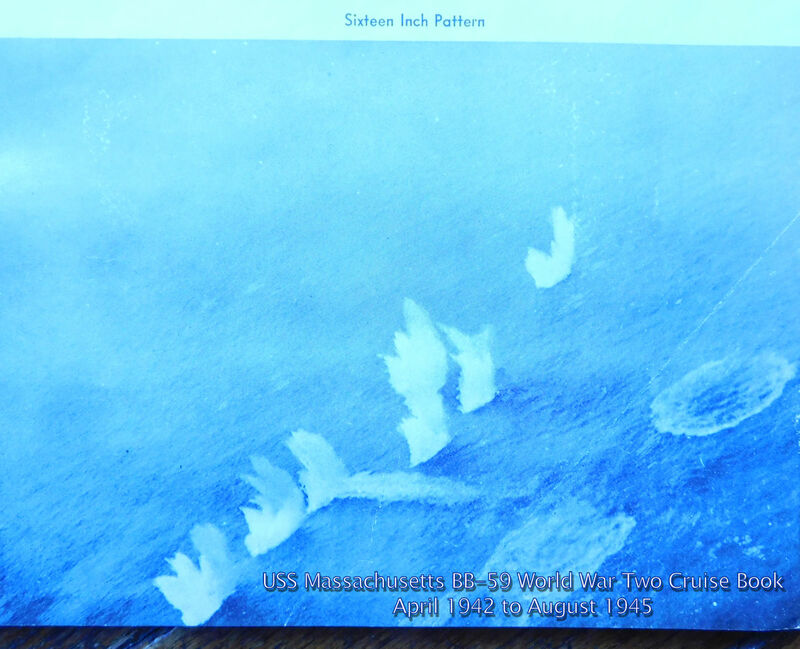 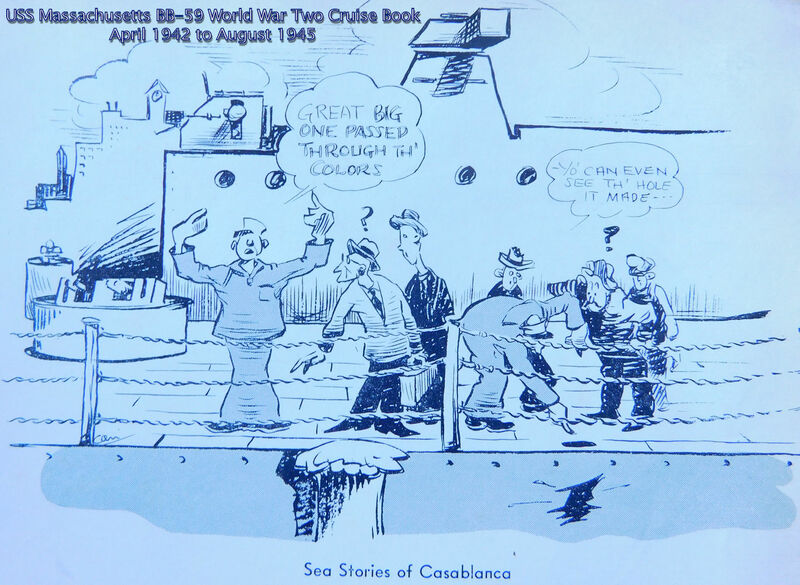 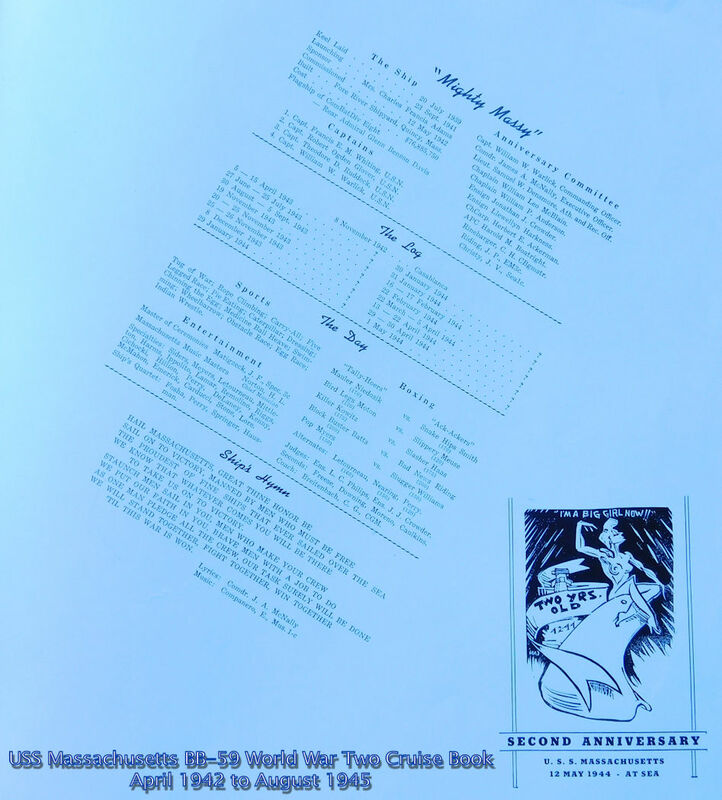 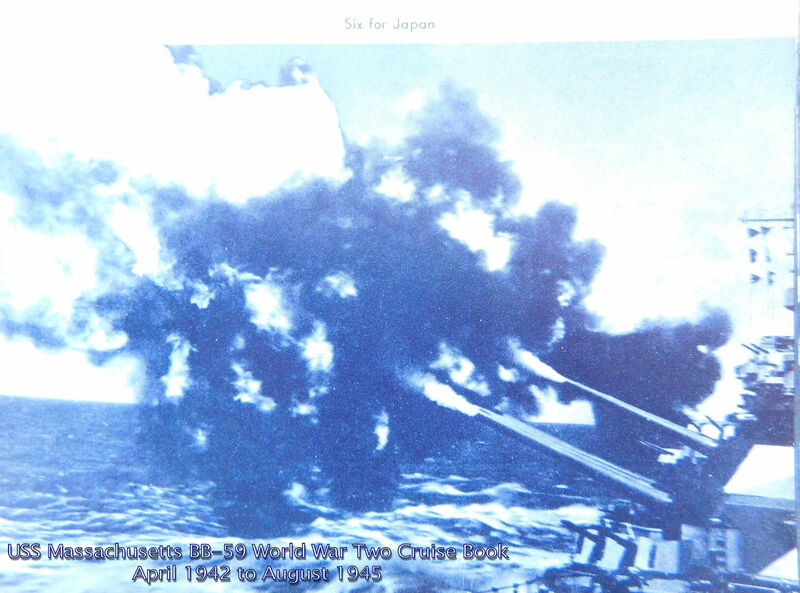 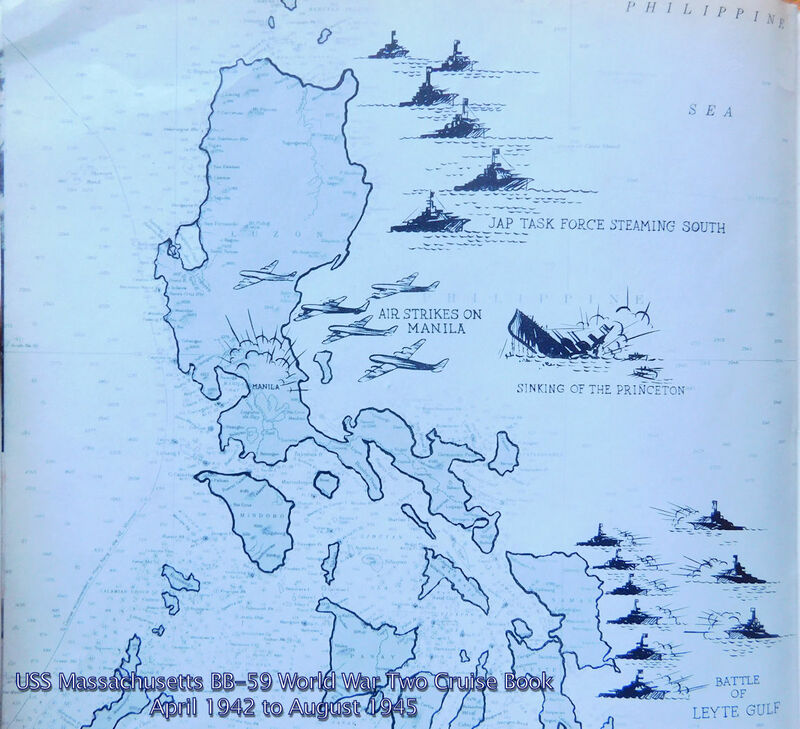 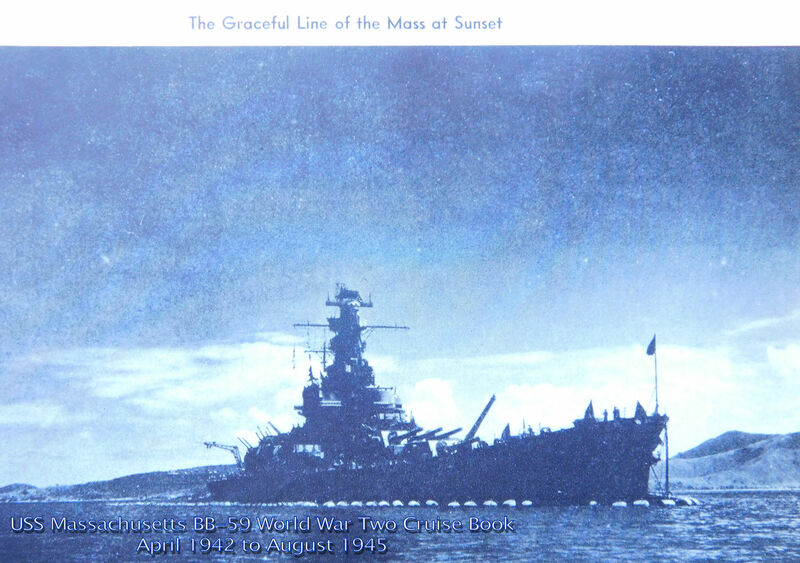 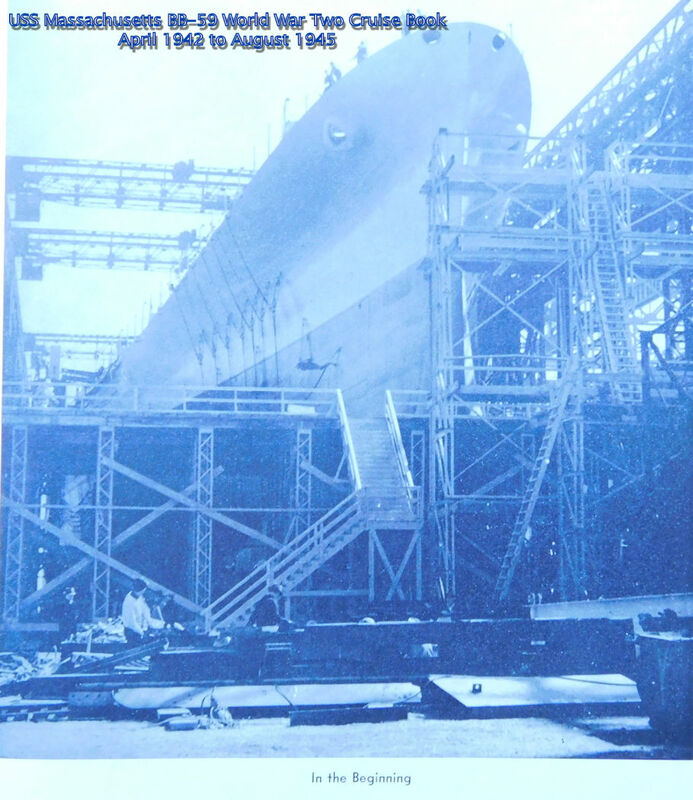 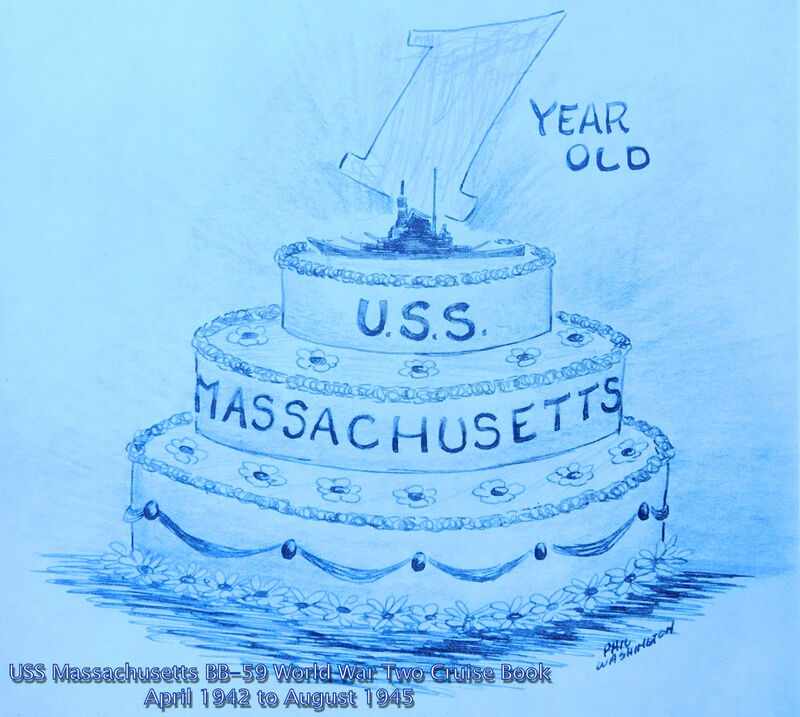 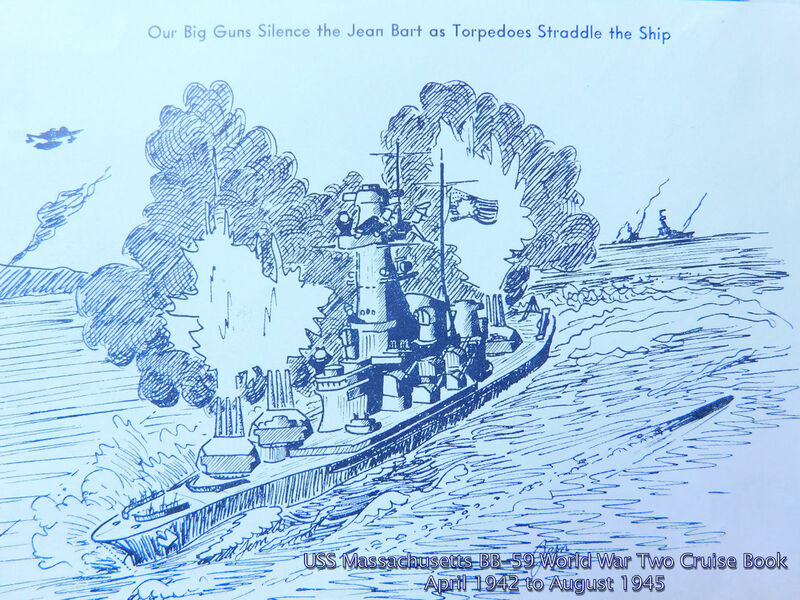 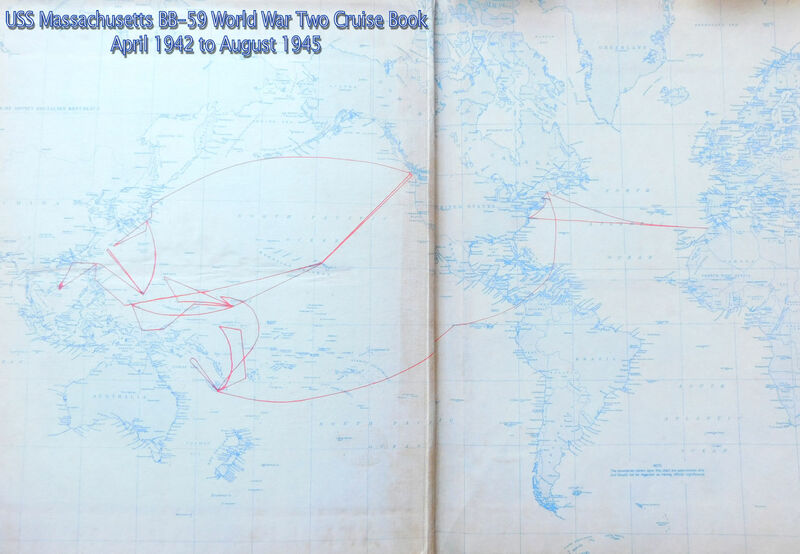 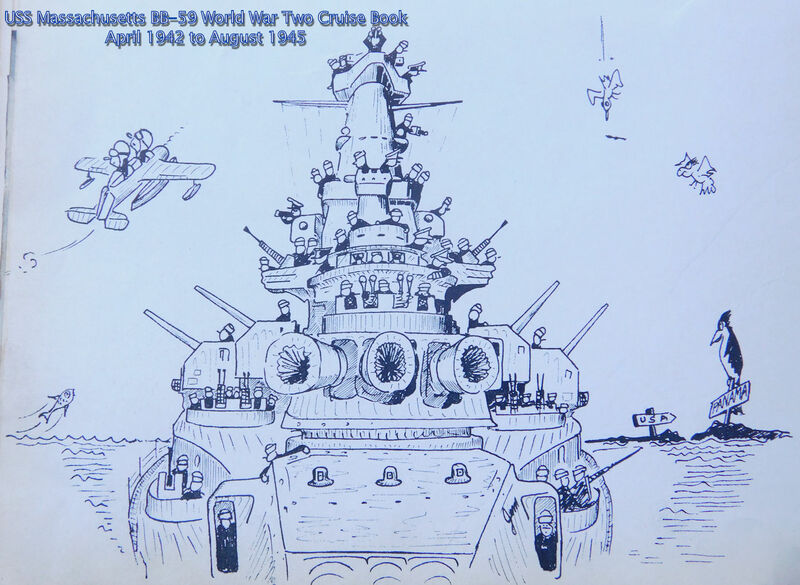 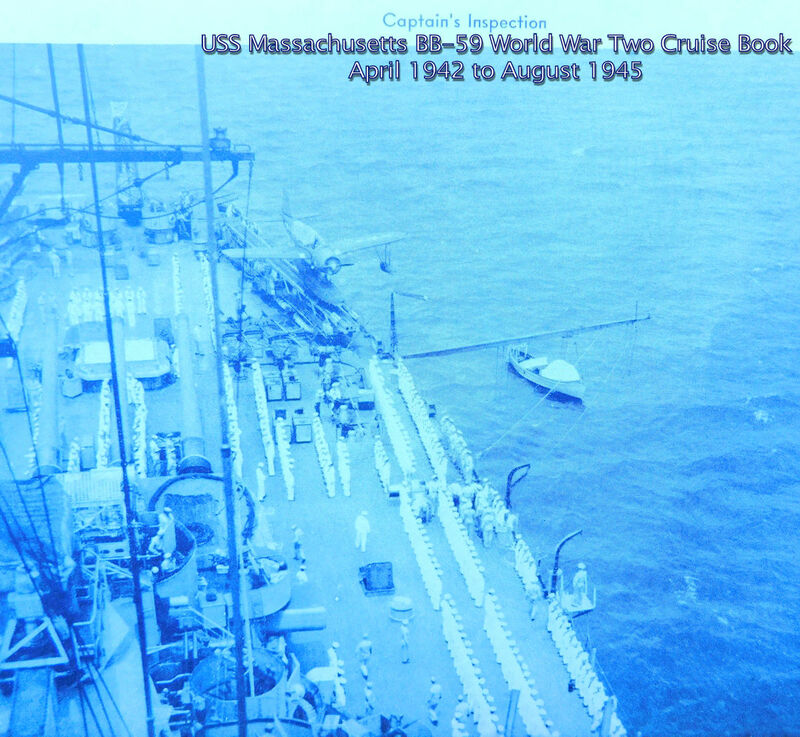 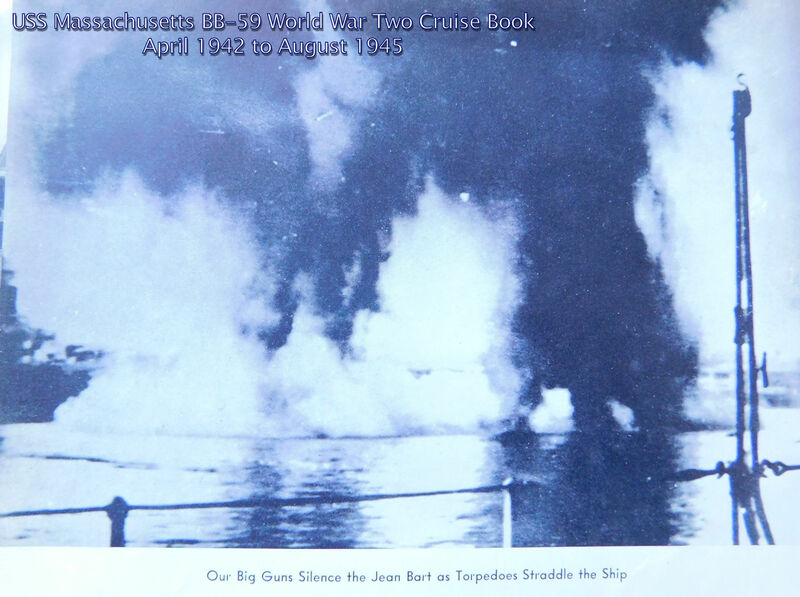 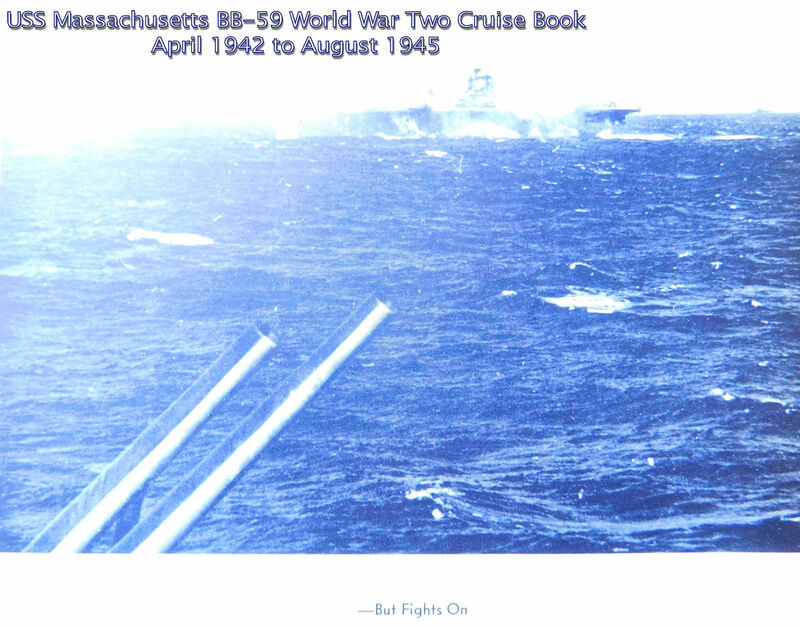 Navy has had a cruise book published at the end of each cruise. 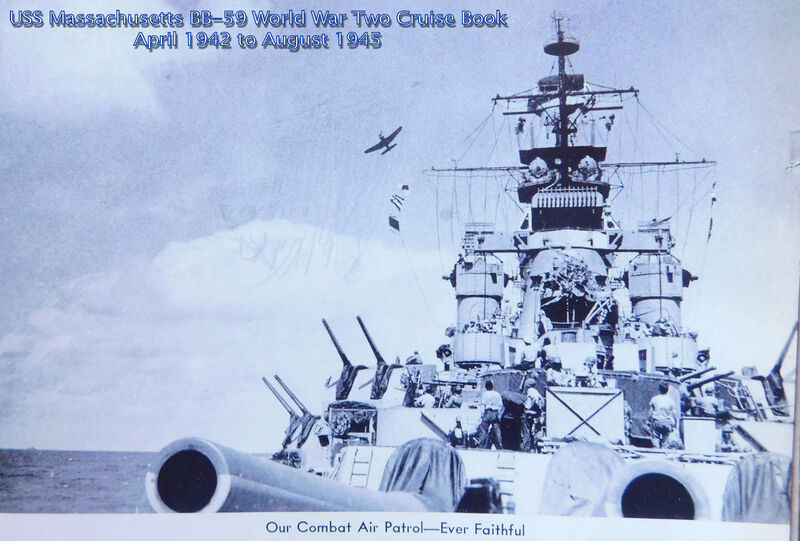 With longer life spans, each warship will have a great number of cruise books throughout its career. 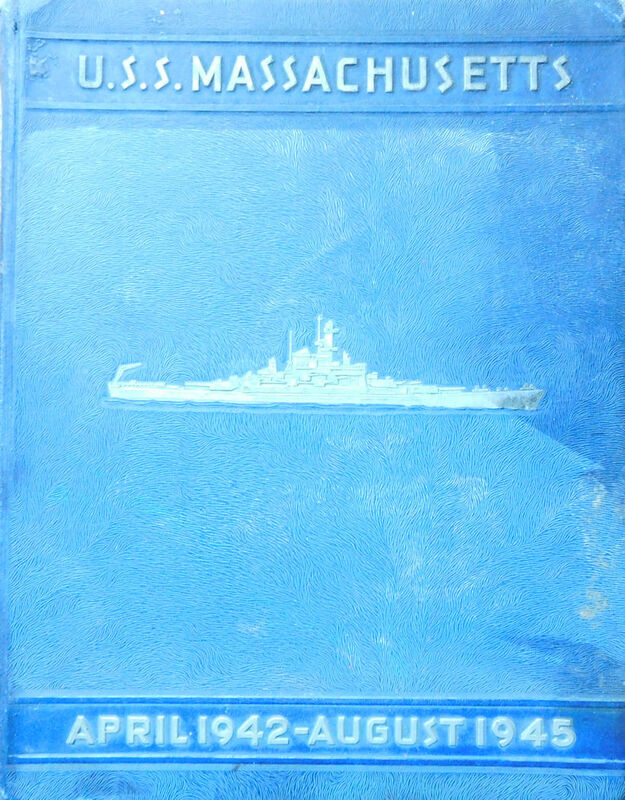 service again. 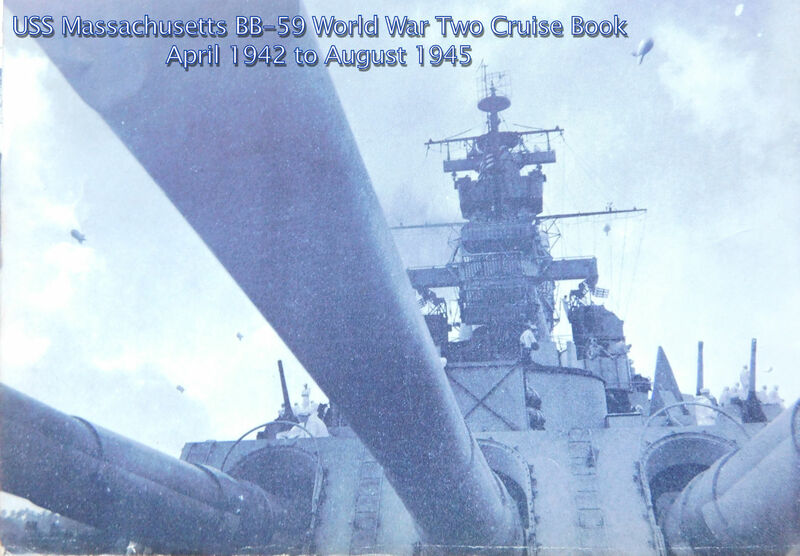 Accordingly, this is the only cruise book to ever be published for the Big Mamie. 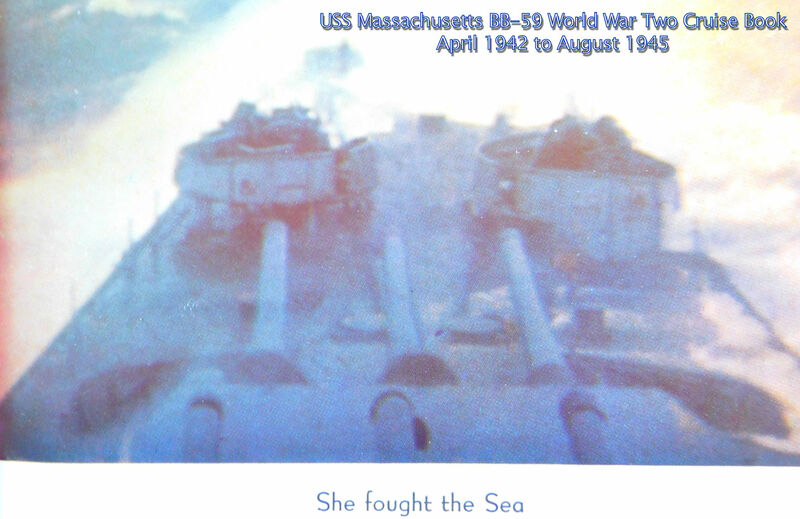 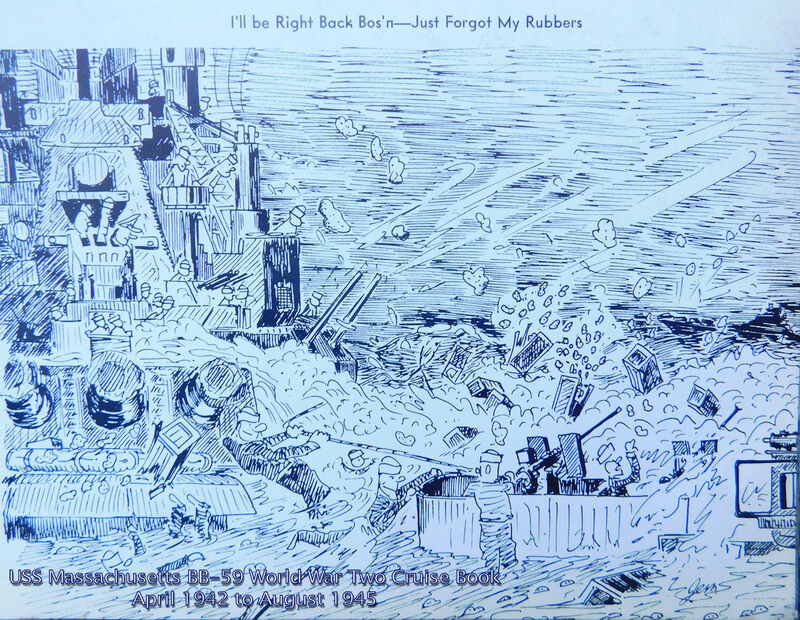 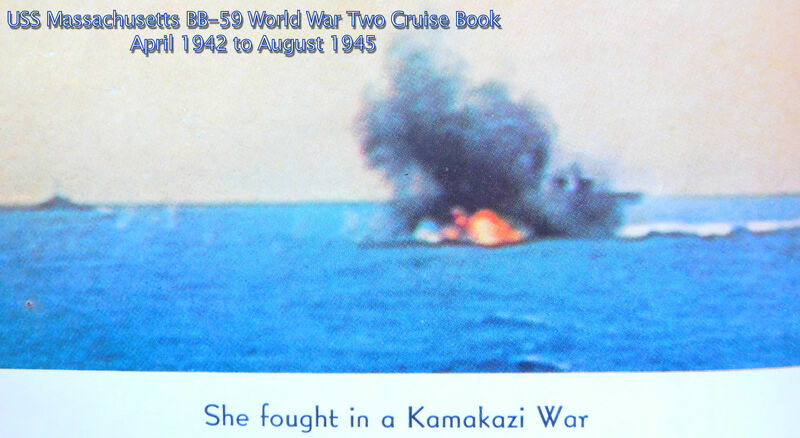 reported afire and in a short time her guns were silenced as she lay at her berth a blazing wreck." 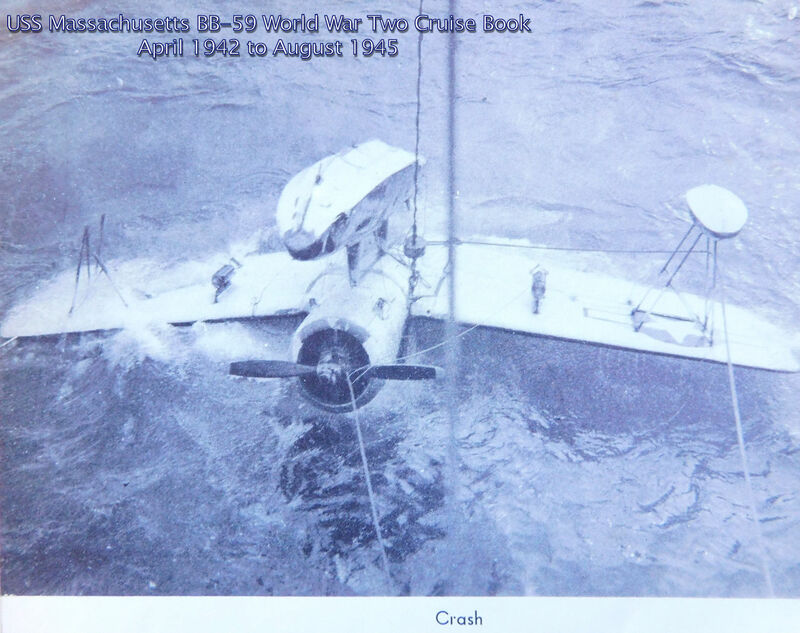 Mamie came through with only minor damage, but with a Kingfisher damaged beyond repair." 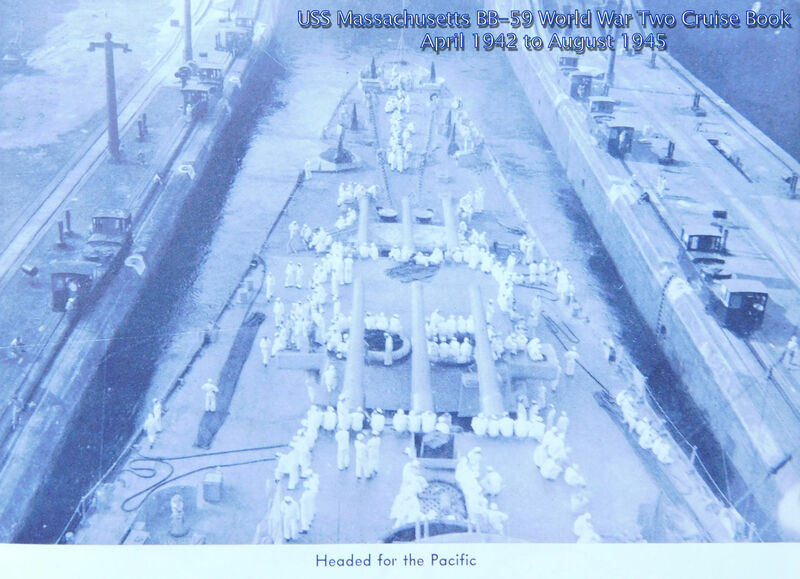 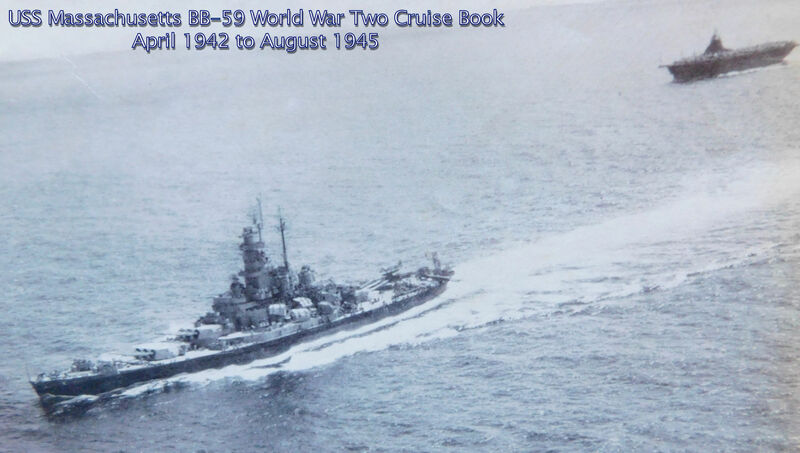 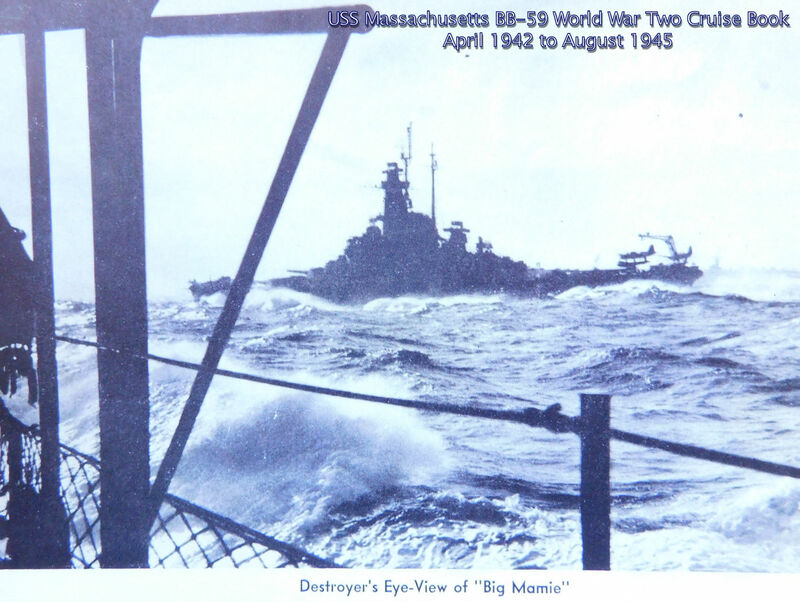 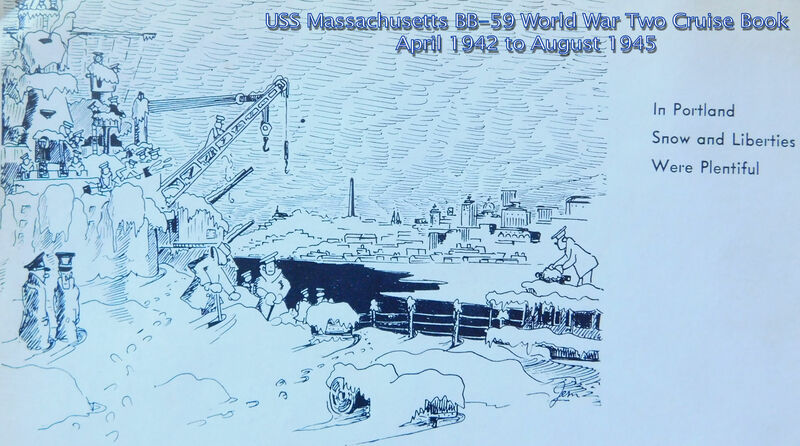 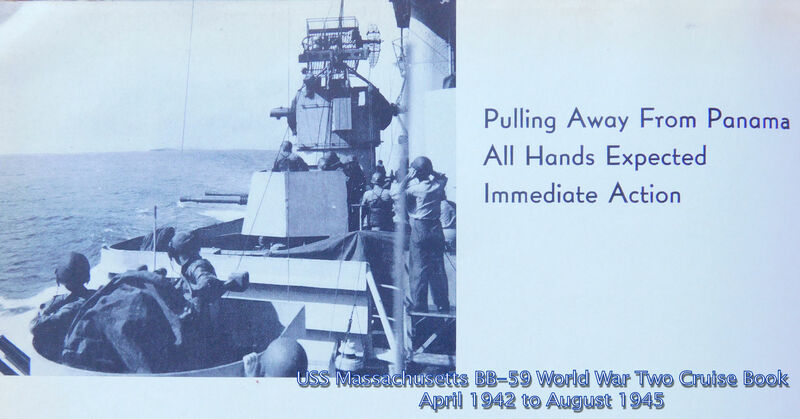 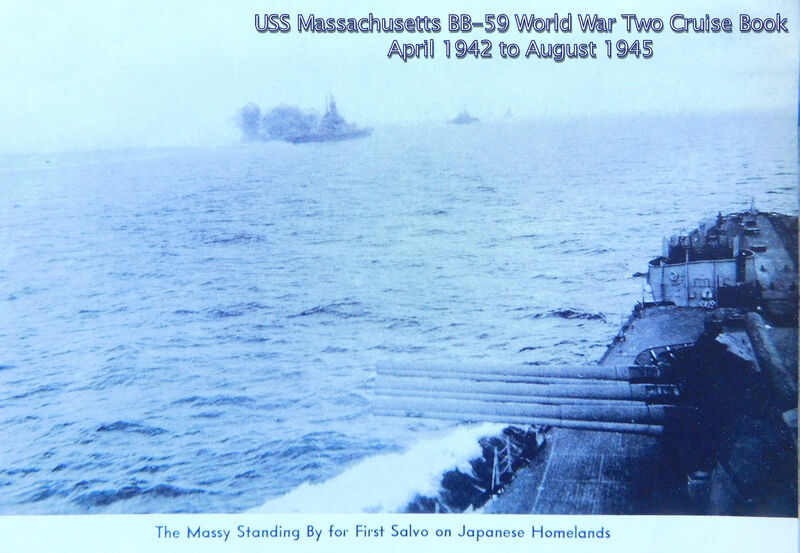 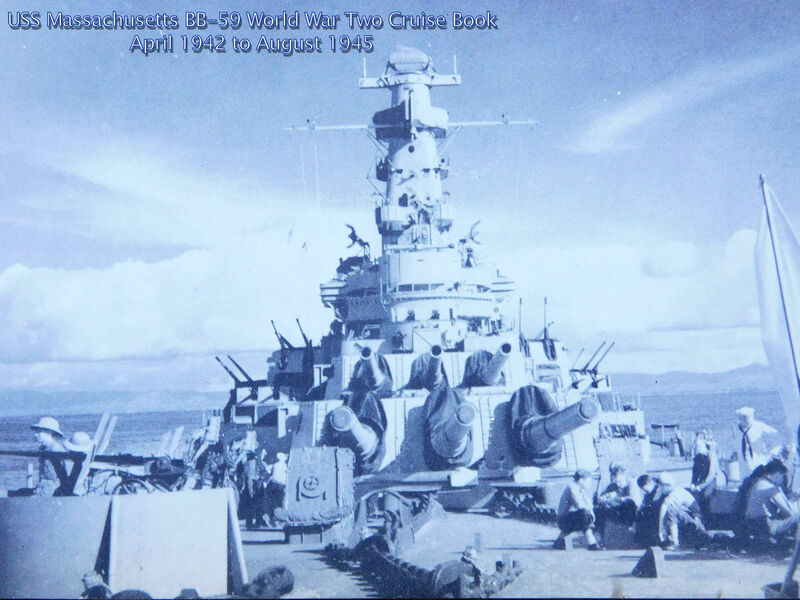 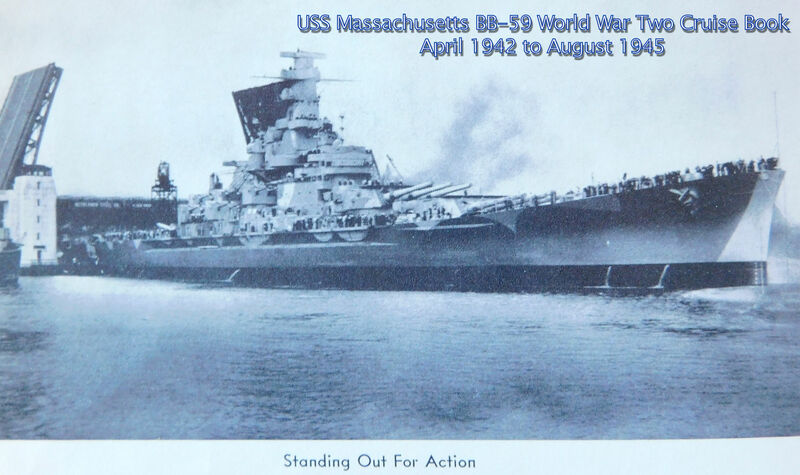 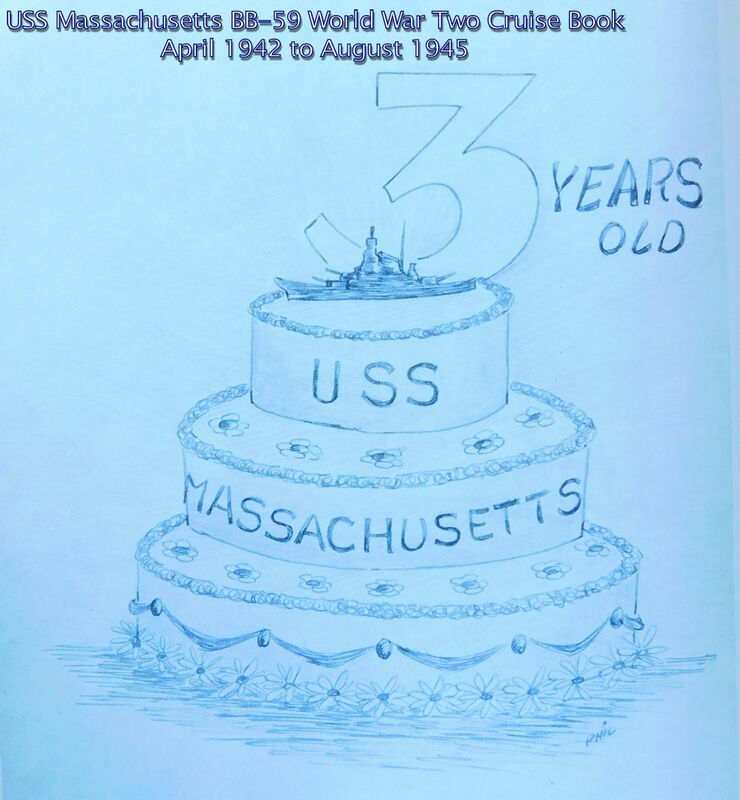 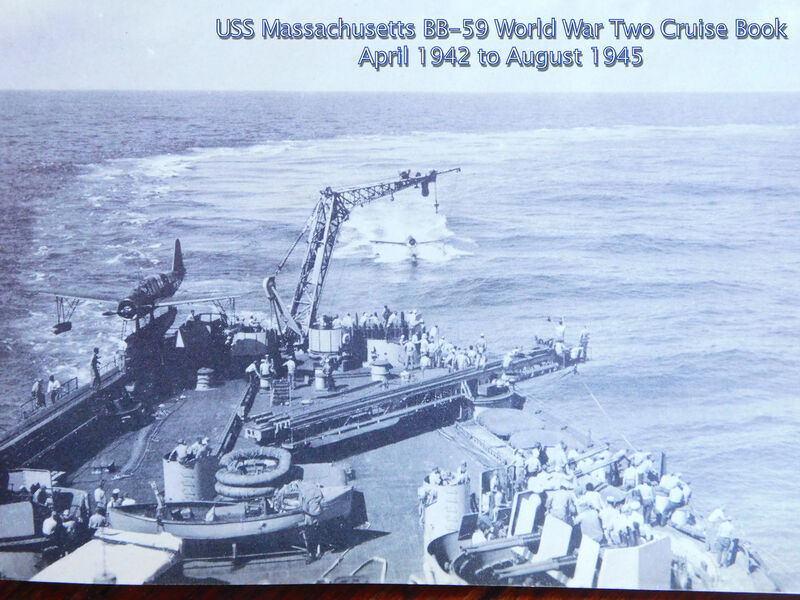 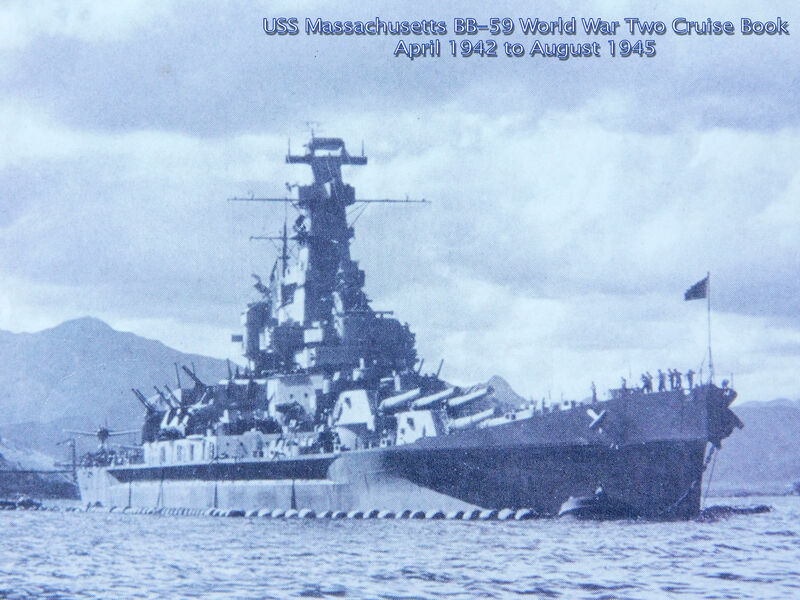 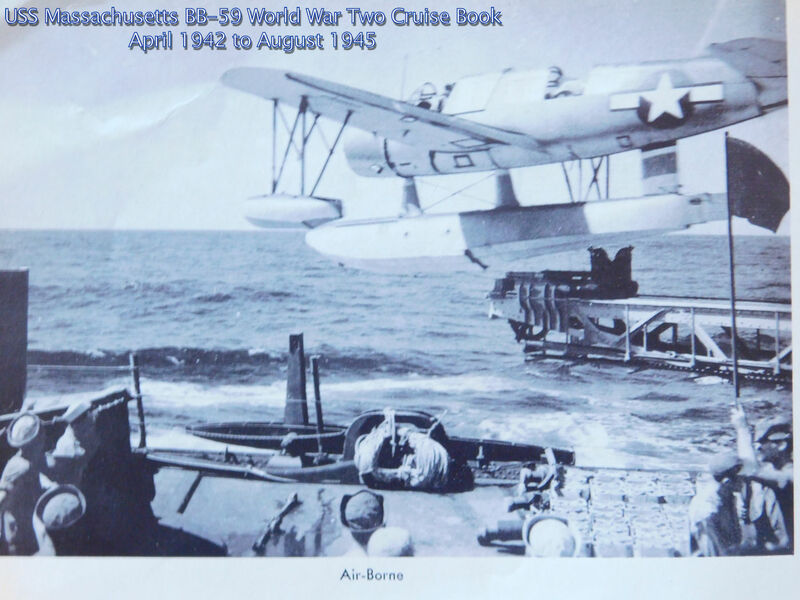 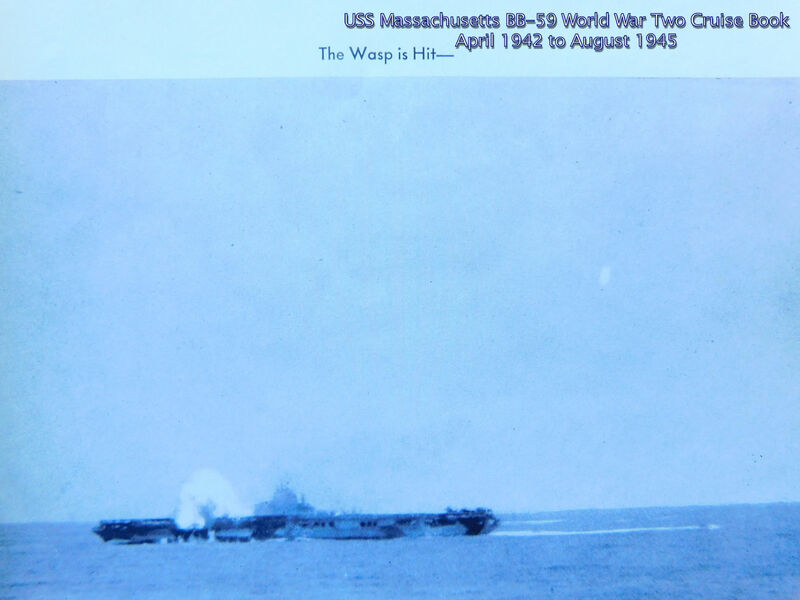 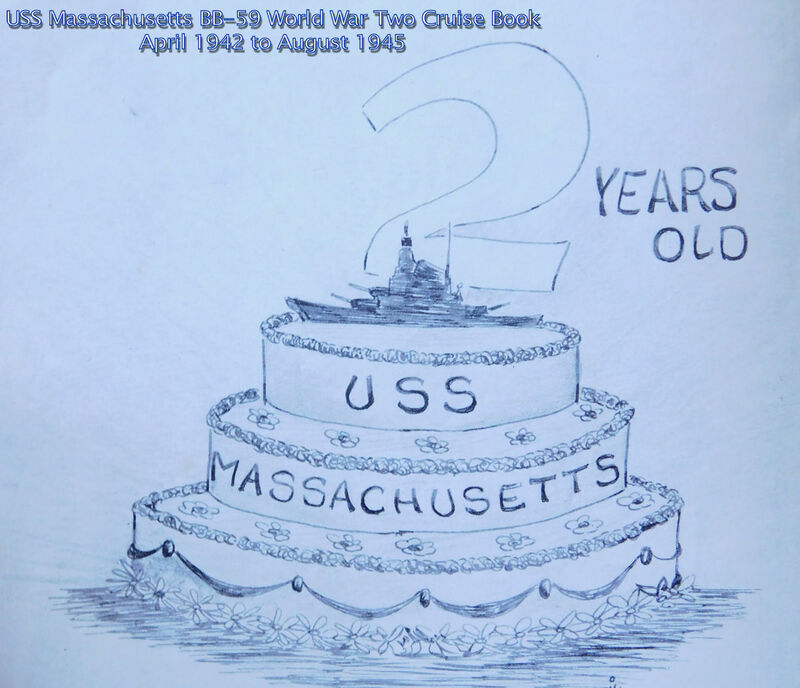 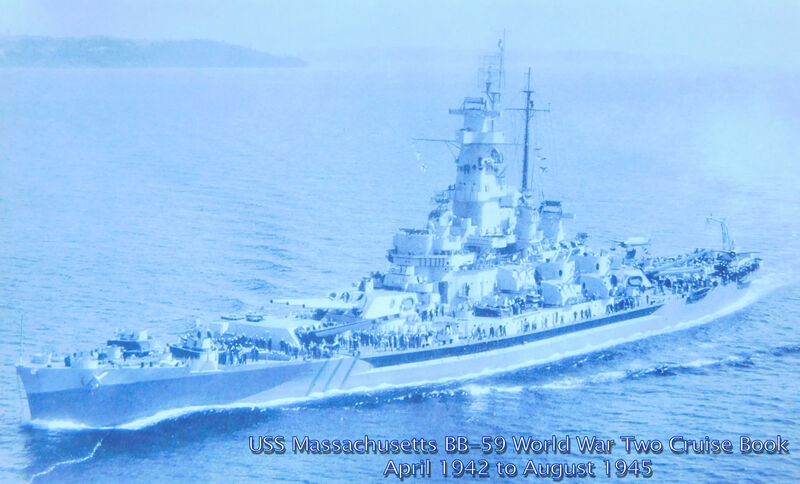 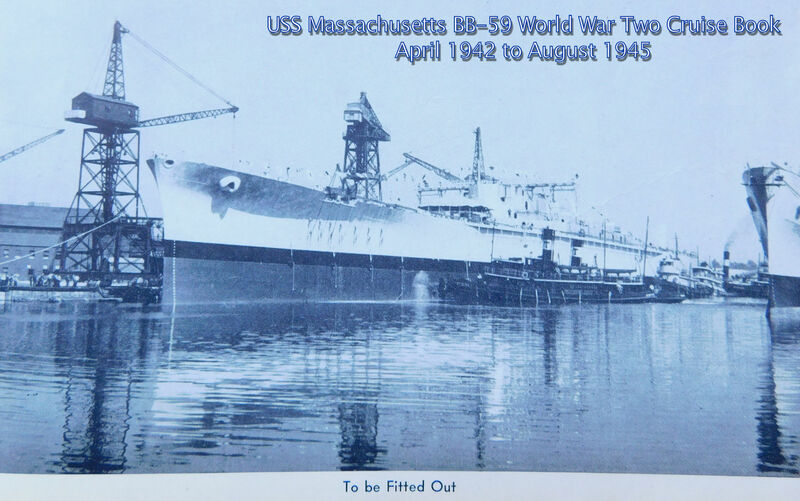 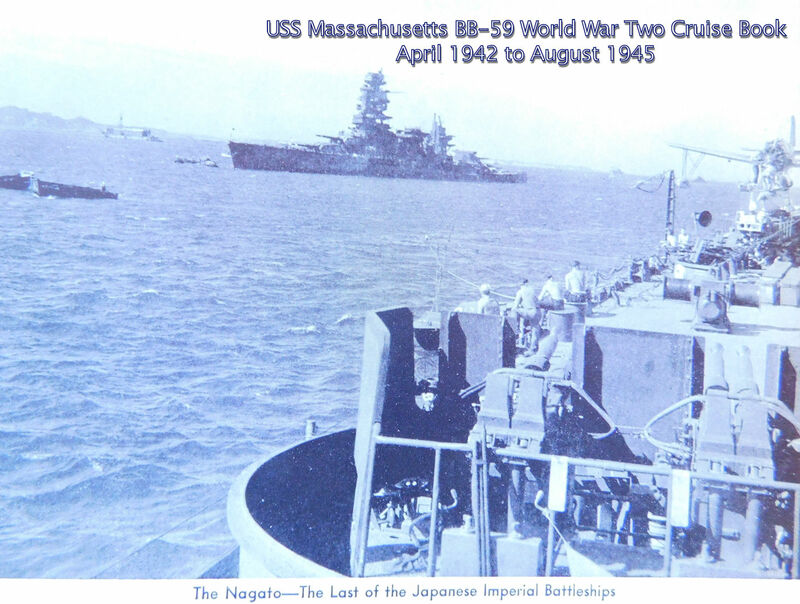 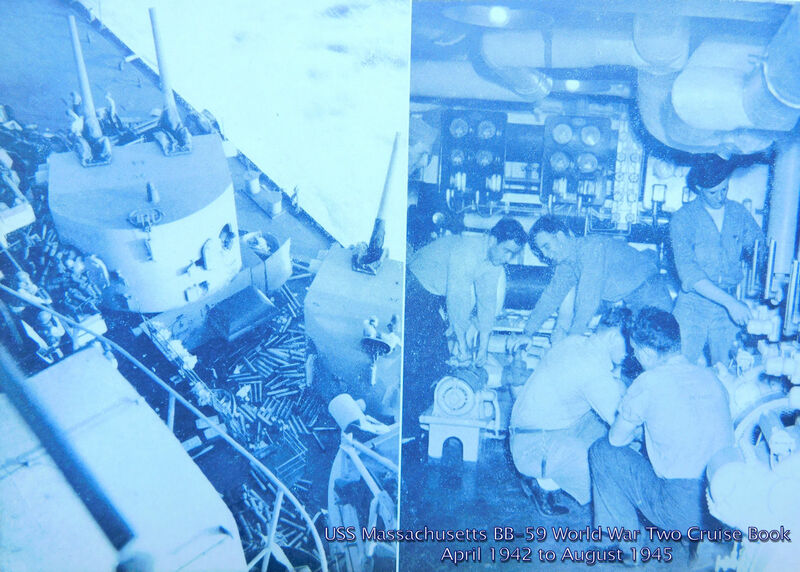 Massachusetts BB-59 is a prize for any naval library. 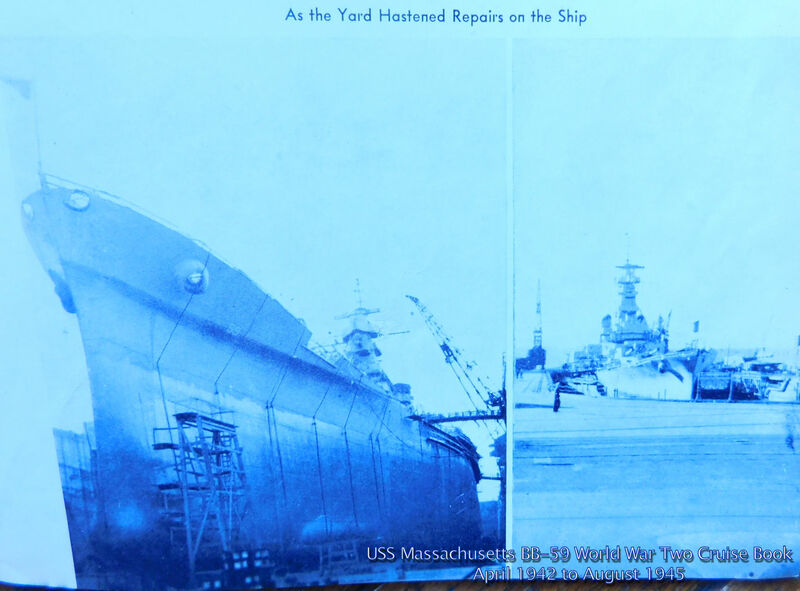 With very good physical quality standards and 126 pages of photographs and text it certainly is a collector's item. 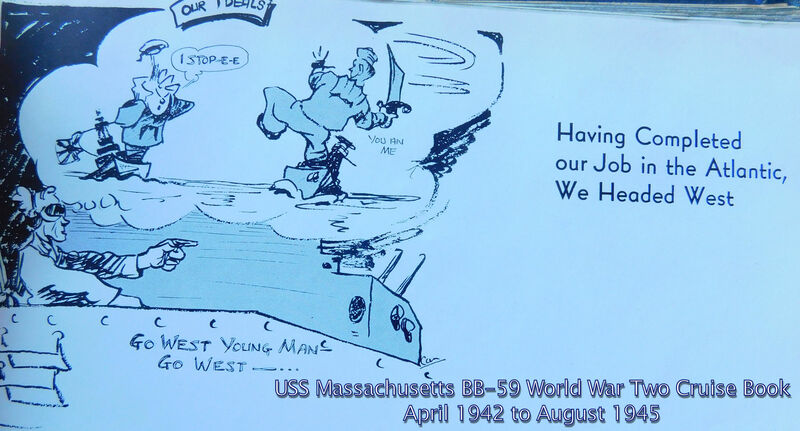 "The end the war found the U.S.S. 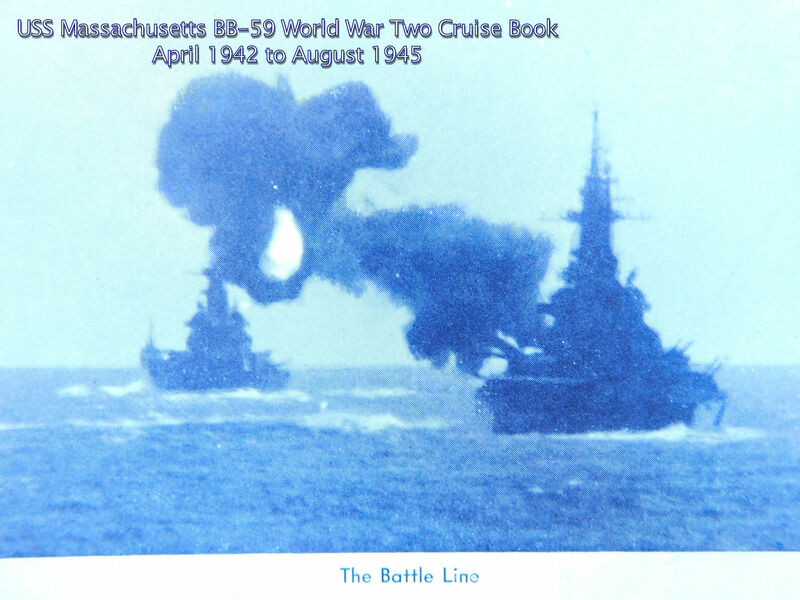 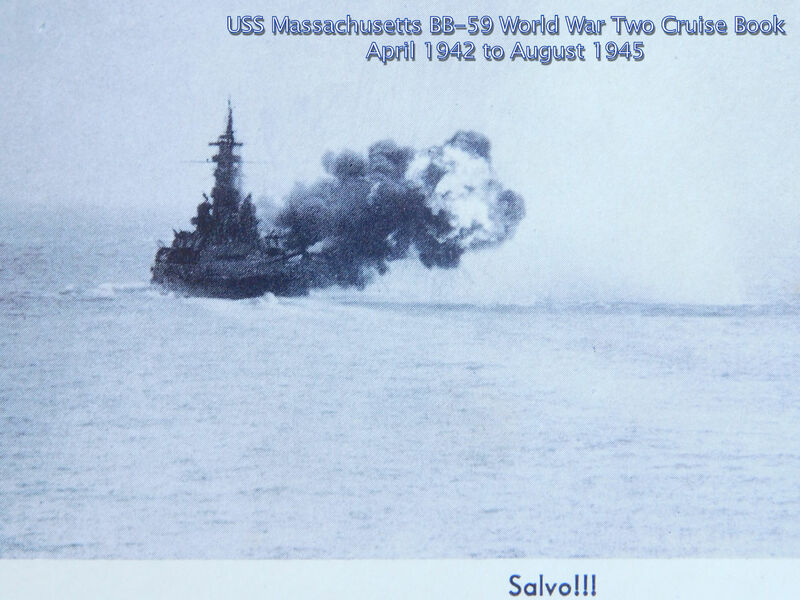 Massachusetts still cruising and fighting, a member of the Third Fleet, present at the kill."